Formula One commercial supremo Bernie Ecclestone said on Wednesday that the Buddh International Circuit near New Delhi will not be hosting a race next year after being dropped from the 2014 championship. "It's unfortunate but once the government gives the recognition I am very hopeful that Mr Ecclestone's concerns will be satisfied," Akbar Ebrahim, the chairman of racing at FMSCI, said on Thursday. "So once we have the recognition the drivers are no longer going to be considered as entertainers but as athletes." 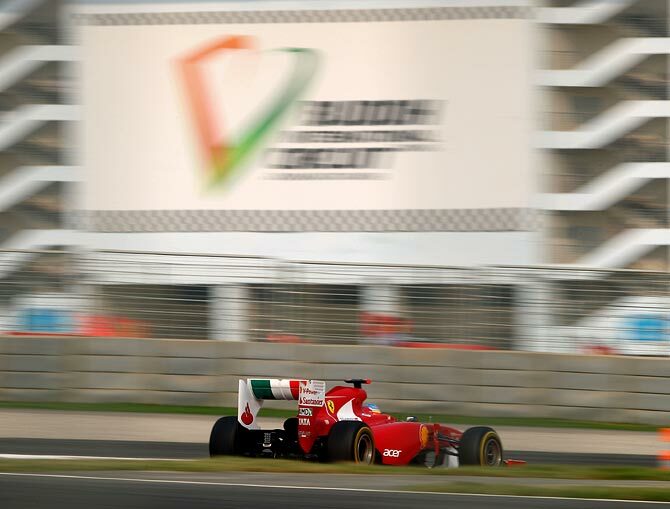 Image: Ferrari's Fernando Alonso drives during qualifying for the 2011 Indian Formula One Grand Prix at the Buddh International Circuit in Noida. Crediting race promoters Jaypee Sports International for building a stellar circuit in India, Ebrahim is hopeful that the FMSCI would be recognised after the country's general elections are over in May. "The required paperwork that was asked for by the government of India has been already submitted a month back," Ebrahim added. "It's a priority. A Jaypee spokesman declined to comment when contacted, but a source at the promoter said the problems should be resolved and Formula One would return to India. 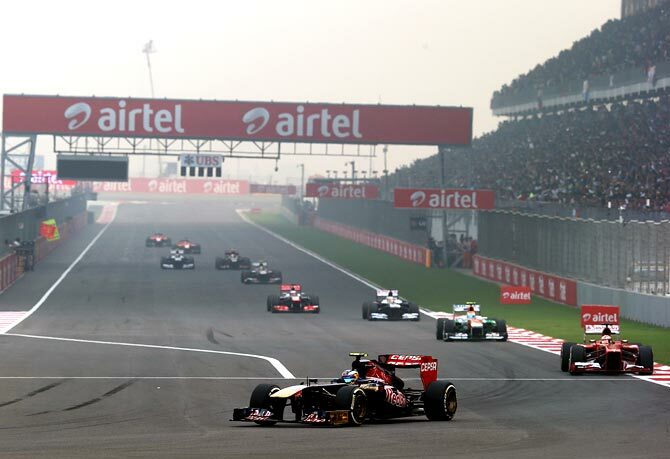 India first hosted a Grand Prix in 2011 to positive reviews and have staged three races to date. "I'm not surprised, unfortunately. The situation hasn't changed from the government's viewpoint despite the Jaypee group's best efforts," Chandhok said from London. "It's a sad but predictable outcome. "With the IOC recognising FIA, the recognition for the sport body in India should be pretty automatic. "The teams and the drivers really enjoyed coming to India. But unfortunately the Indian government did not embrace Formula One or really understand its penetration and reach worldwide. 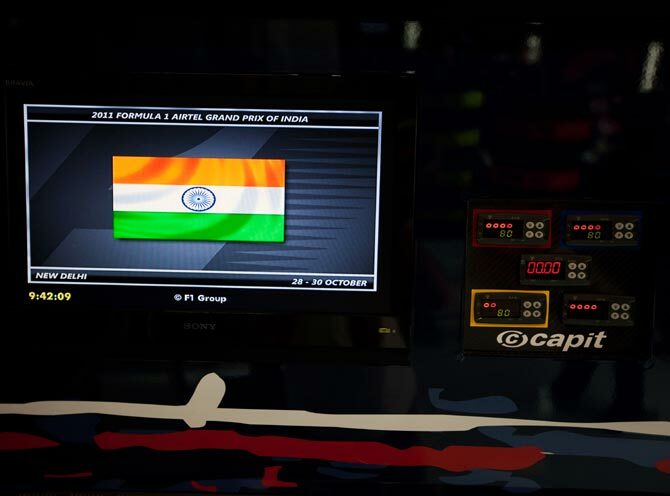 Image: The 2013 Indian F1 Grand Prix at Buddh International Circuit in Noida.